Today we would like to celebrate International Women’s Day with you by sharing the story of a truly remarkable woman and her even more remarkable work. As a supporter of our programs and efforts here at Bread and Water for Africa®, you may know her already as our volunteer spokesperson and a talented nurse or a dedicated partner in our work. 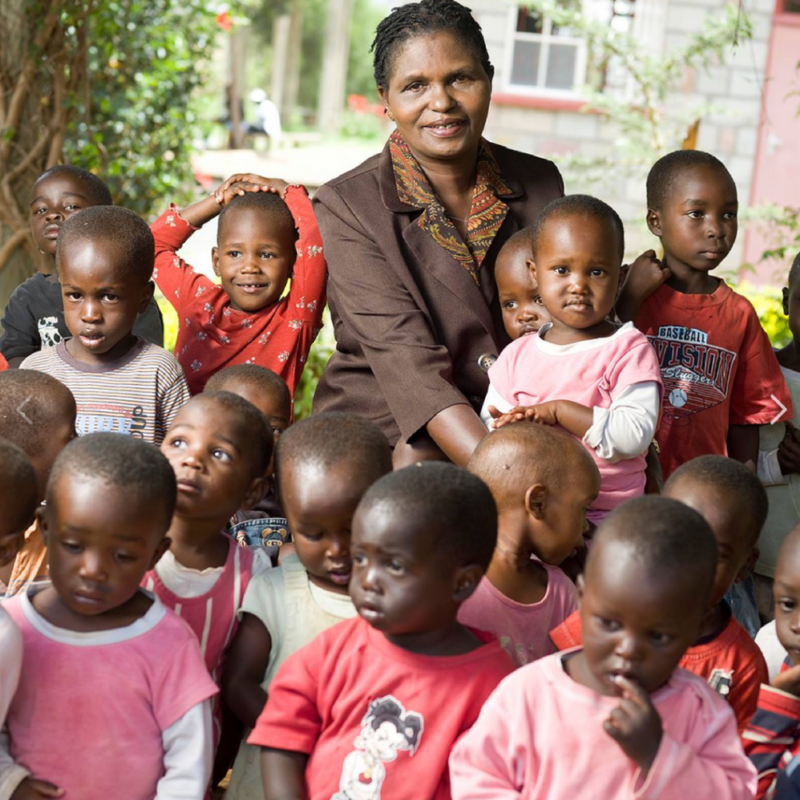 Today we want to honor Phyllis Keino for the title she goes by to hundreds of children in Eldoret, Kenya – “Mama”. 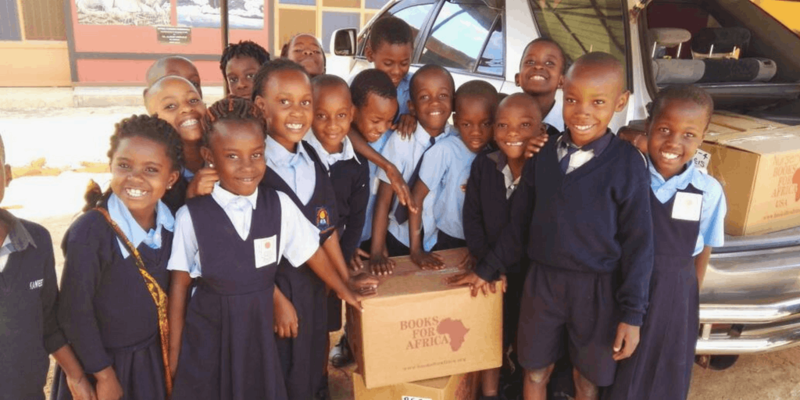 Of course, the success of Bread and Water for Africa® depends entirely on voluntary contributions from our generous supporters, and every donation we receive is both vital to the people they go to and deeply appreciated by all of us. Not only do we depend on the compassion of our friends, donors, and supporters – but we also would not be nearly as successful without the compassion of our partners in Africa, like Phyllis. 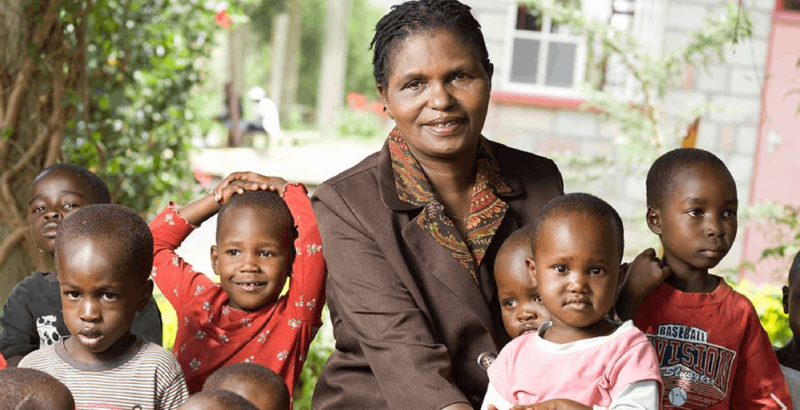 Starting in the 1980s, Phyllis committed herself to a brighter future for the orphans of Africa- often toiling from before dawn until after dusk with the daily responsibilities at the# Lewa Children’s Home. Her hands-on approach to the home and her children (her own biological children grew up alongside the children she cared for! ), along with her unbreakable will in the face of financial, emotional, and environmental struggles truly inspire us every day to continue fighting for these children, for their future, and for their present. Bread and Water for Africa® has been awarded a $10,000 grant by the Neilom Engineering for Social Change Fund to build a water well in Sierra Leone. The grant is being made available through the Neilom Foundation and the Center for Engineering Concepts Development in the Department of Mechanical Engineering, in partnership with the Center for Philanthropy and Non-Profit Leadership in the School of Public Policy at the University of Maryland College Park. “Our name reflects our highest priority to bring clean water to families, clinics, schools and entire communities,” stated Bread and Water for Africa® Executive Director Bethelhem Tessema, who noted that Bread and Water for Africa®, through partnerships with grassroots organizations in Africa, has provided water wells for tens of thousands of people in Kenya, Uganda, Ethiopia, Mozambique, Zambia and Sierra Leone. The $10,000 grant funding will go towards building a hand pump water well to serve the Hill Station Primary and Secondary Schools as well as the surrounding community in Freetown, Sierra Leone. We will commit matching funds of $5,092 to fully meet to the total project costs of $15,092. In 2015, we established a goal of building three wells in Sierra Leone, a country still recovering from the Ebola outbreak of 2014, by June 2016. The first of the three wells, in the community of Waterloo, is soon to be completed. Bread and Water for Africa® has established a goal of building a total of three wells in Sierra Leone, still recovering from the Ebola outbreak of 2014 which continued into 2015, for FY 2016. The first well, in the community of Waterloo, is soon to be completed. The Neilom Grant money, combined with the matching funds contributed by Bread and Water for Africa®, will make it possible to complete the second well early in 2016. We will administer the grant with its partner, Faith Healing Development Organization (FHDO), of Freetown , Sierra Leone, which have worked as partners for more than 10 years. Weather permitting, the construction of the new well could begin as soon as January and be completed by the end of March. 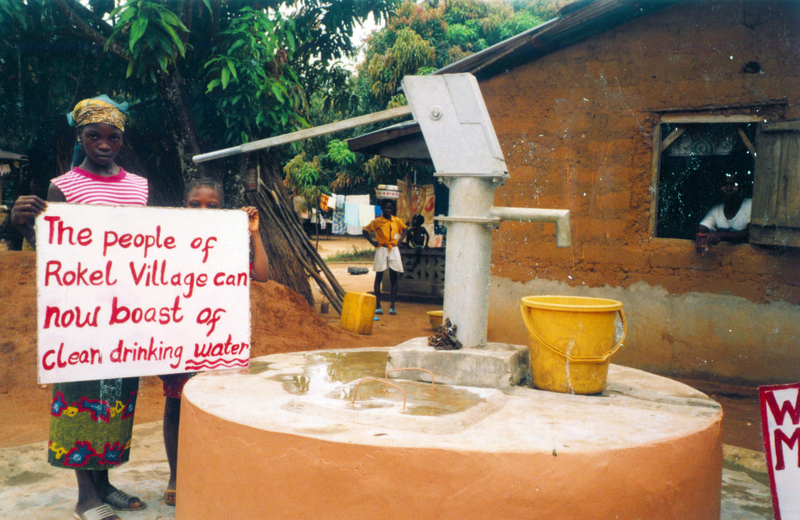 The need for such a well in Sierra Leone is great. The vast majority of the population does not have access to safe and clean water and nearly half of the population uses unprotected water as their primary source for drinking, bathing and washing. We are extremely grateful to the Neilom Engineering for Social Change Fund for recognizing the need for a well in this community that will benefit thousands and literally save lives. On behalf of these thousands, we say “Tenki” (“Thank You” in Krio, the national language of Sierra Leone). Tragically, thousands of children die every year from water-borne illnesses that are easily preventable. Where there is unsafe water, there are diseases. In the rural communities of Africa, the need for clean water is extremely urgent and a top priority for Bread and Water for Africa®. Clean water. It should be simple, really. And you know this. Or do you? Take our quiz to find out. Water is life! We support programs that provide access to clean water and educate Africans about the vital importance of clean water for the prevention of diseases. GreatNonprofits is a place to find trustworthy nonprofits – such as Bread and Water for Africa®. To do that, they rely on reviews from the general public, donors, volunteers, clients and professionals with expertise in the field. Bread and Water for Africa® is working to be considered among their five-star Top-Rated Nonprofits for 2014, but to do that, we need your assistance. 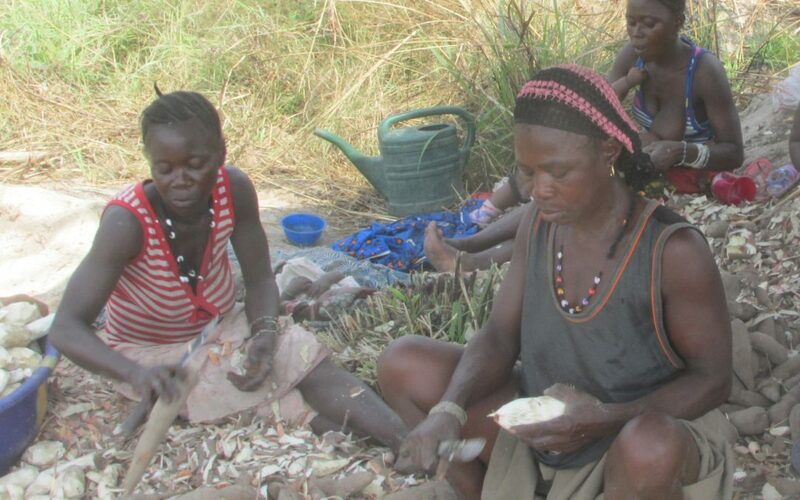 Please help by going to http://greatnonprofits.org/reviews/bread-and-water-for-africa/ and submitting your review sharing your experiences with Bread and Water for Africa®.